There are 3 main types of waxes used for candle making… Soy Wax, Beeswax and Paraffin Wax. Beeswax comes from a beehive… of course. Our family has several beehives. Bees have to work very hard to make a small amount of beeswax, it’s always in short supply and it’s very expensive. It’s even more expensive if you want organic beeswax from local, chemical free and reputable beehives. That’s why, when you buy a candle it will most likely be made from Soy Wax or Paraffin Wax. When a candle doesn’t say what kind of wax it’s made from then it’s usually paraffin wax. Paraffin is a petroleum based wax that is a by-product of oil production and processing. This type of candle wax has a lot of chemicals added during the manufacturing process and can release chemical pollutants into the air when burning such as acrolein, formaldehyde, acetaldehyde, toluene, benzene, acetone and that’s just to name a few. Exposure to these chemicals may lead to health risks such as allergies, asthma and some say even cancer. Soy wax is a pure, clean and sustainable wax. Here’s 16 reasons why we only use and make pure soy candles with our special eco soy wax. 100% plant based vegetable wax. Eco-friendly. Good for the environment. Manufactured from renewable sources. Soy can be replaced at a rate faster than the rate of consumption. Slower burn rate. And candles last longer. No petroleum or paraffin based ingredients. Vegan. No animal or beeswax ingredients. Burns cooler. Avoid wax burns. Does not stain. That means you do no need to worry about ruining clothing, furniture or other items. Worry free use around children and pets. Stronger and purer scent throw. Not all soy waxes are created equal. There’s good and bad. 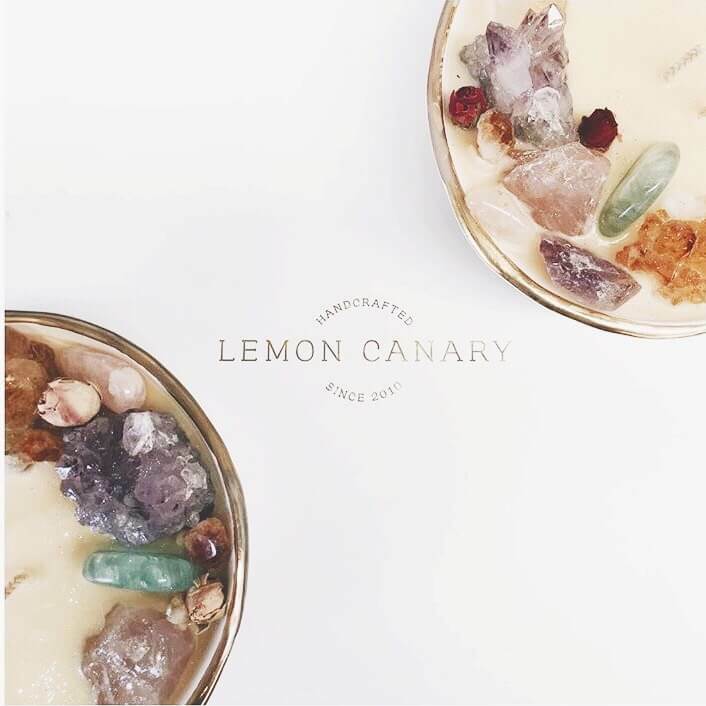 We can only speak for the waxes used in Lemon Canary’s candle making studio. And they are the very best. No expense is spared and no compromises are made when it comes to soy wax we use. The quality of the soy candles these waxes produce is unequalled. High quality, professionally and lovingly made soy candles might not be the cheapest candles you can buy but they are the candles you want to burn for the health of your family and the environment. Hopefully this gives you a little bit of a glimpse of why we love soy so much! It sounds a little crazy to say that lighting a Lemon Canary candle makes me happy, but it truly does. Each room of my house is filled with the beautiful scent of one of these gorgeous pure soy candles. Choosing a signature scent is impossible as the combinations are endless. You can definitely feel the love in each one. I adore the packaging and the individual touch that Lemon Canary gives to each and every order means I am confident ordering and sending gifts straight to friends or clients without having to receive the gift first and sending it on. The range of products is wonderful and caters for corporate or personal. Lemon Canary is my go to every time. Thank you Jasmin, you have created a gorgeous business and I wish you all the success that your hard work and talent deserves.